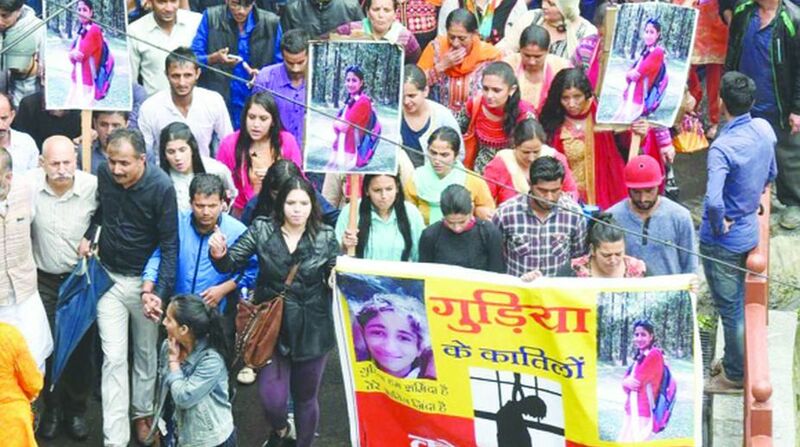 Himachal Pradesh High Court on Wednesday directed the Central Bureau of Investigation (CBI) to speed up investigation in gangrape and murder case of 16-year-old girl in Kotkhai area of Shimla district. The division bench of acting Chief Justice Sanjay Karol and Justice Sandeep Sharma criticised the investigating agency for failing to solve the case even after four months and questioned why CBI director didn’t intervene in the case. The court observed as the case is linked with public emotions and speedy investigations are needed to quell public dissent. The court even called on the CBI director to come forward and provide additional team for speedy investigations in the case. Earlier, the CBI submitted status report in the court over which the court raised questions as the investigating agency has failed to make any headway and demanded more time. The CBI officials termed the Gudia case as blind case and told the court new evidences have come to light and it will require more time to analysethe evidences. The investigating agency said the CBI officials have gathered DNA samples of more persons in the case and the scientific investigations are taking more time as reports are still awaited. Meanwhile, MadadSewa Trust, a NGO which is pursuing the case, expressed concern over the delay and said the accused behind the ghastly crime should be put behind the bars as soon as possible. Gudia, a tenth standard girl from Kotkhai, had gone missing while returning home from school on 4 July. Her body was found in the woods on 6 July with multiple injuries on her body. Her autopsy had confirmed that she was gangraped and strangulated to death. Following public outrage over ghastly crime, the government had constituted a Special Investigation Team (SIT) which had arrested six persons, AshishChauhan, Rajender Singh alias Raju, Deepak, Subhash Singh Bisht, Suraj and Lokjan for the ghastly crime on 12 and 13 July. 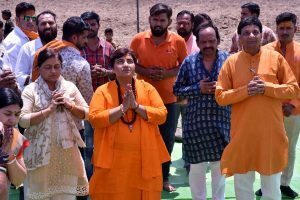 The cops had allegedly tortured five accused, excluding AshishChauhan to confess that they were involved in gangrape and murder. The torture had resulted in the death of Suraj on the intervening night of 18-19 July and investigations had revealed that Suraj was severely thrashed after he had demanded one more chapatti in dinner. On 19 July, the HP High Court had directed the CBI to probe into the Gudia case, along with custodial death case. On 29 August, eight members of SIT including IG Zahur H Zaidi were arrested for the custodial death and after investigations, the CBI had also arrested the then SP Shimla, DW Negi. However, there was no headway in the case pertaining to the murder of the 16-year-old girl and the CBI officials are still groping in the dark to solve the case.